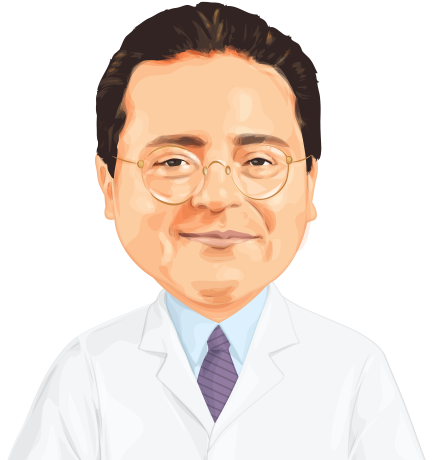 Chief of Surgery @ Pompeii Surgical and our groups most experienced bariatric surgeon. Over the last 14 years I have had the privilege to personally consult, engage, and perform weight loss procedures that have made a positive impact on thousands of patients lives. Social media has given me the ability to not only get to know my patients before surgery but also to watch their journey years after. I enjoy watching their outlook on life become more positive with each passing day as their health improves and get to I celebrate and feel blessed when they send me a before and after photo as they hold up a new born child and tell me how much this procedure as changed their life. Surgery is my life. I wake up each morning with my patients on my mind and I absolutely live and breath surgery every waking hour of my day. Everything is based around health and surgery because it's my absolute passion. We have all struggled with our weight and physical appearance in life and almost the entire Pompeii surgical staff understand the impact it makes in our lives. Curing obesity is not a job for me. I understand those struggles and battling obesity it how I found a meaningful way to live my life. Performing procedures under optimal conditions has been a formula of my success for over a decade. I personally check all of my operating equipment before each surgery, participate in the cleaning and sterilization of equipment, and never rely on any of my assistance to review patient files or leak test results. At every step in my patient care I always make sure that I know 100% what is going on because I am responsible for the results. Every new procedure that is introduced to the industry I attend courses to learn about and believe continued education is what keeps a person's mind sharp. When I recommend a patient to undergo a specific procedure it's because I believe it's the best for their health, body type, and expectations. I love to listen to my patients and ‘hear’ what they are saying to me from an emotional level. I want to help and I will help each and everyone of them in the way they need it the most. The compliment I hear the most from patients and coworkers alike is “that guy really cares about people. I joined Pompeii Surgical three years ago and it was the best decision I have ever made. At the time I was very limited in the amount of pro bono work I could engage in because of the organizations I worked for and I have spent a years preaching to financial institutions that money should not be a factor in the decision process of undergoing this procedure. Pompeii Surgical has not only given me the ability to perform hundreds of thousands of dollars a year in pro-bono procedures but also opened doors to allow me to finance patient surgeries by leveraging more established banking relationships thru Pompeii. Together we have performed over 150 surgeries in 2016 for patients that would of never qualified for any type of financing and did not have the means to afford this procedure. Any surgeon is willing to perform a procedure when they are being paid for their work but I have spent hundreds of hours both seeking out patients who cannot afford this procedure and establishing financing for them to have it and I do not receive any direct compensation for these efforts. I value the core of my character as man who is willing to do a lot of extra work in order to have the privilege of saving someone's life and I expect nothing in return but to watch them grow over the years and know that I made a positive impact in the world. I hope you will allow me to be your surgeon and maybe regard me as a friend. I love to be invited to nonprofit events and I extensively enjoy having a bite to eat with the companions of patients during their stay. On the rare occasion I will get the joy of giving a patient a ride back to the airport after surgery and it really touches my heart to connect with them at such a personal level. Take a moment to explore my website to learn more about my surgical practice, our center, prices, and other information.